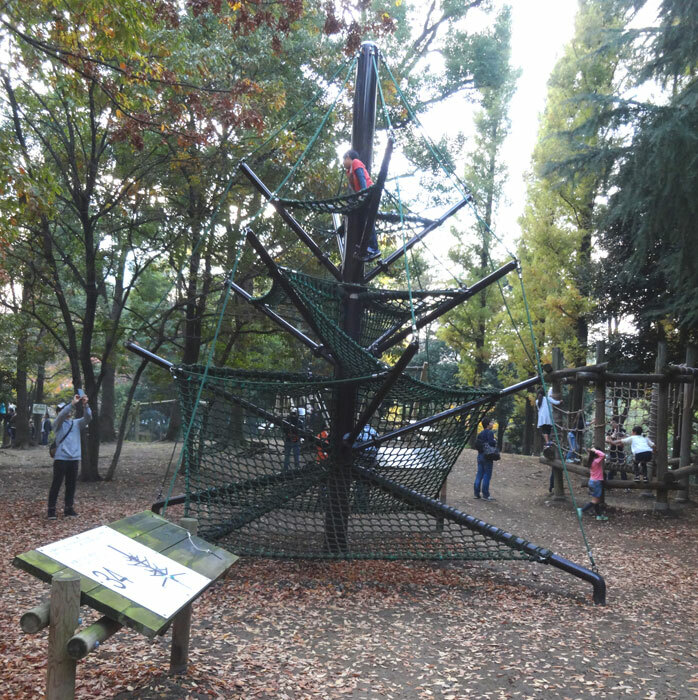 “Heiwa-no-mori Park Field Athletics” is in municipal park. 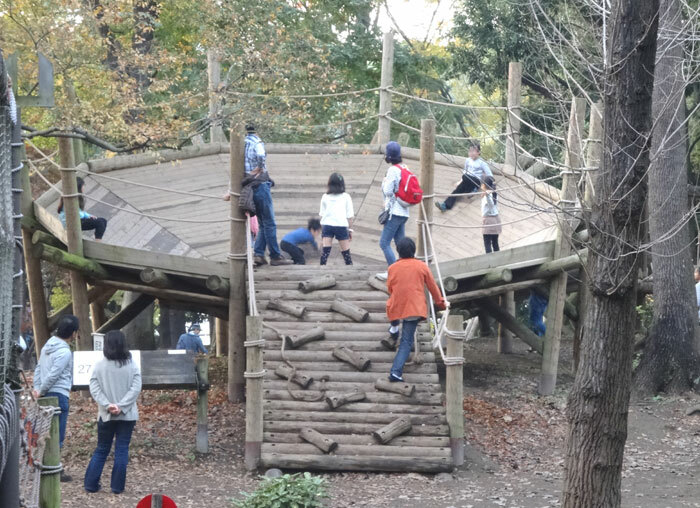 The degree of recommendation of “Heiwa-no-mori Park Field Athletics” is 4.0! You can hardly expect it. 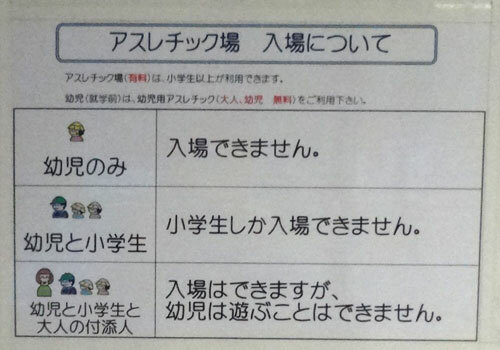 However, since children do not need to use Japanese, children can enjoy it cheerfully. What is “Heiwa-no-mori Park Field Athletics”? “Heiwa-no-mori Park Field Athletics” is a field athletic that is set up at Heiwa-no-mori Park in Ota Ward. 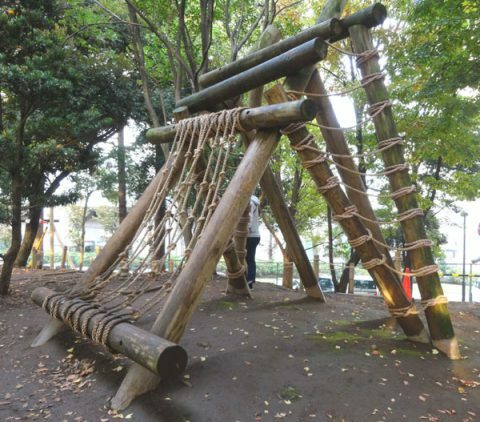 This field athletic is the only thing that the Field Athletic Association is authorized in the 23 wards of Tokyo. And since the municipality manages it, you can play with a very cheap rate. Well, I think occasionally at such a facility for children. Because it is a facility for children, should children be higher than adults? Because the main target is a child. “Heiwa-no-mori Park Field Athletics” can be used by primary school students or above. 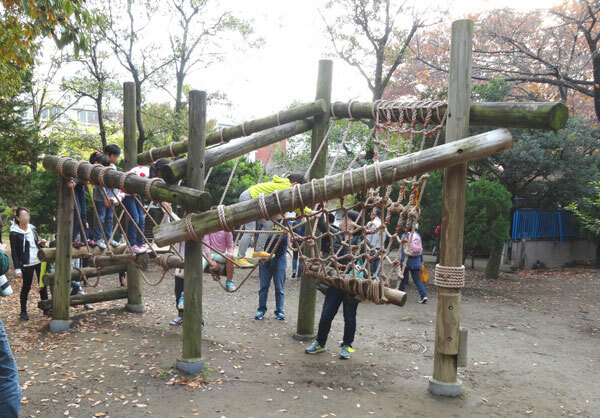 Because many athletic playground equipment is large, it will be difficult to play without becoming an elementary school student.Even elementary students 1 and 2 graders need considerable hard work. 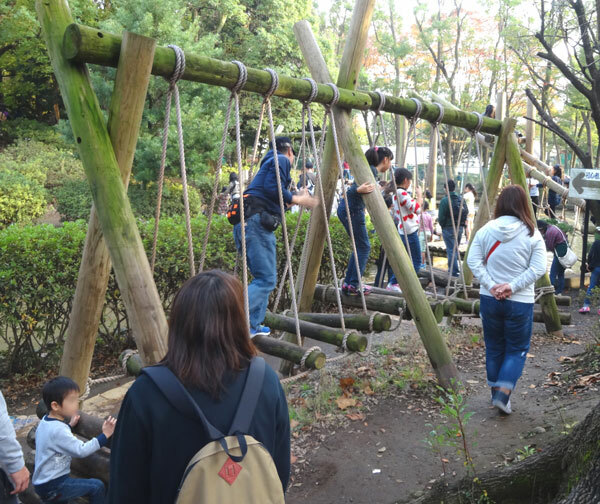 Also, each event is related to the history, historical sites and place names of Ota Ward, and it is a preference that you can learn about Ota Ward while having fun throughout the course. This is what it feels to be said that the municipality operates. 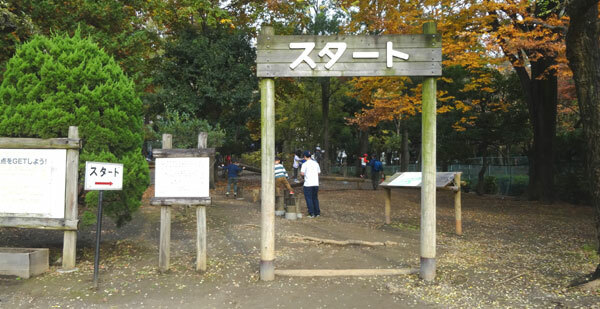 The nearest station to “Heiwa-no-mori Park” is Peijima Station on the Keihin Kyuko Line. It is about ten minutes on foot from Heiwajima Station. 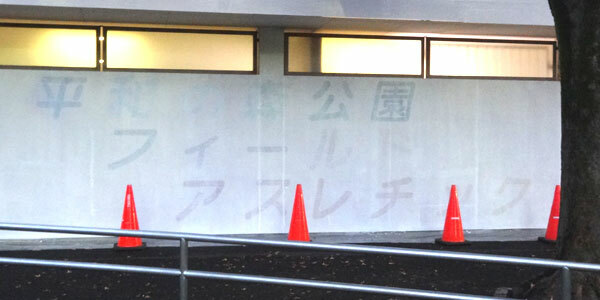 Also, if you walk along “Kan-Nana Streets” you will arrive so you will not get lost. Also, there are “Keikyu Store” and “Doutor” in front of the station, but there is no big shop like family restaurant. Therefore, it is difficult for families using strollers to find places to eat with children. There is a bus (Get off at Heiwajima station by bus to Morigasaki from JR Omori station east exit) from Omori station on the JR Keihin Tohoku Line, but because of a bus to “Morigasaki”, we do not go to Peace Park and need to get off at Heiwajima Station on the Keihin Kyuko Line. Therefore, choices to go by bus from Omori station do not appeal much. 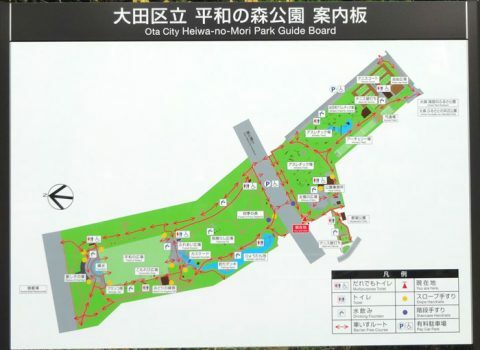 By the way, from JR Omori station to “Heiwa-no-mori Park” is about 2.5 Km. Even if you use a taxi, it will arrive at less than 1,000 yen, so there are options to go by taxi. There is a parking lot, but the parking lot size is 44 cars. The situation of the parking lot seems to be different depending on the time of day, but there seems to be not many people going out by car, so it seems that there are many things that are not full. Also, there is a parking lot in the neighborhood “Heiwajima Park”, and there are other coin parking etc, so you will find an alternative parking lot even if it is full. However, many police officers are carrying out traffic control on “Kan-Nana Streets” near “Heiwa-no-mori Park”. It is located in the immediate vicinity of the exit of the capital high line No. 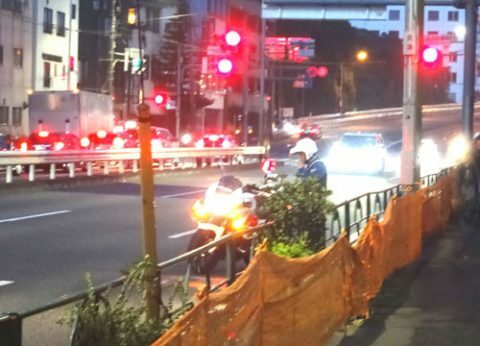 1 and there are quite a few people who are caught for traffic violations, so please be careful. Even in such a meaning, the train may be better if you can go by train. “Heiwa-no-mori Park” is a long park in the north – south, “Kan-Nana Streets” passes almost in the middle. 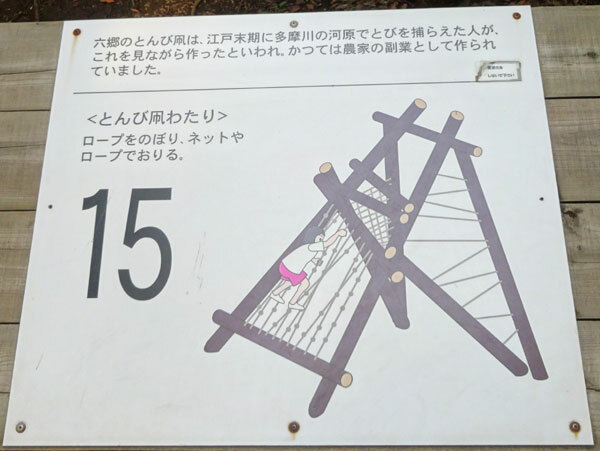 There is a field athletic on the south side of “Kan-Nana Streets”. 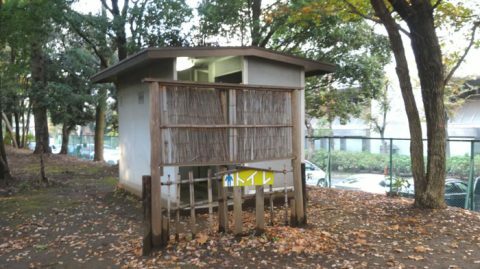 When entering from the park entrance along “Kan-Nana Streets” there is a square, and there is a Administrative Building (“Heiwa-no-mori Park” Office) in the back. The ticket office is located in the passage of the building of the Administrative Building. 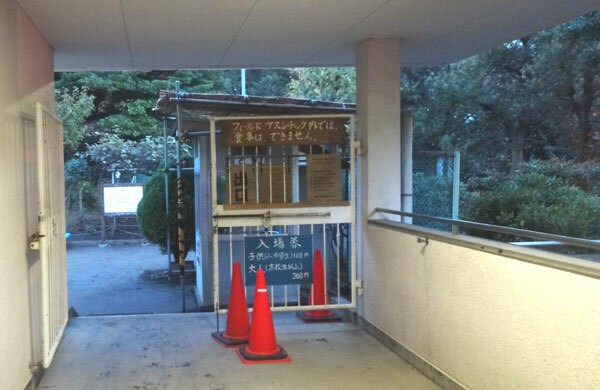 There is a ticket vending machine in the above-mentioned place, but at 15 o’clock the door will be closed and you will not be able to buy tickets. After buying a ticket and proceeding to the right side you will see the entrance. 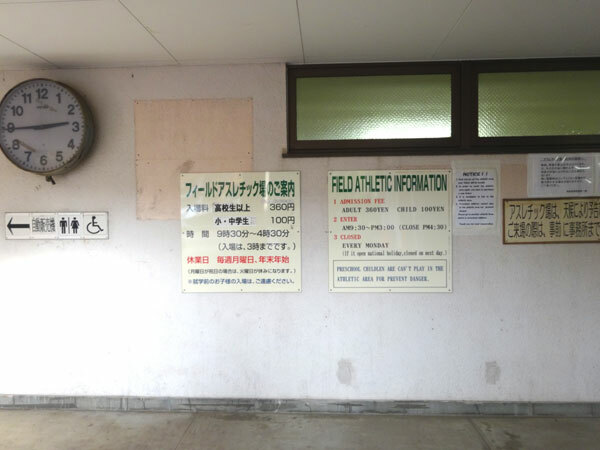 The administrative building on the side that entered “Heiwa-no-mori Park Field Athletics” is like the above. The entrance on the far left is the entrance and we will hand you the tickets here. 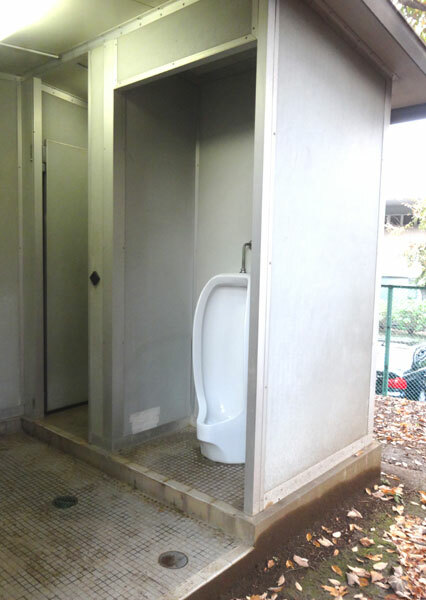 The left half of the administrative building was in a changing room, the left side is for men and the right side is for women. In the changing room, there is a space to change clothes, a locker to keep luggage, a space to wash hands, and a toilet. When riding a train, it may be better to avoid the challenge in the area of the pond. Places like washing hands and washing shoes are also outside the changing room. The far right side of the administrative building is a resting place. 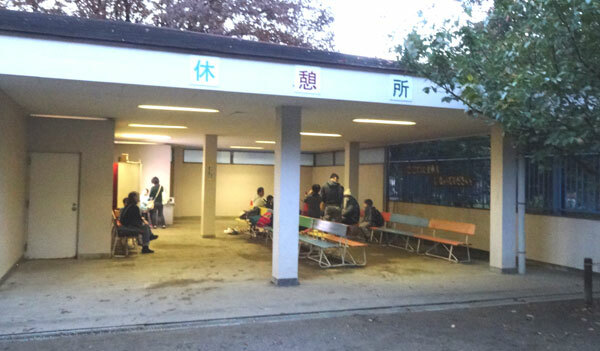 It is prohibited to eat inside the athletic field, so there are no tables at the resting place, only chairs. There is a vending machine for drinks at the back, so you can purchase drinks on the premises. On the right side (opposite side) of the resting place there are goals and a starting point. At the starting point there is a sign board. On the right is the challenge method written. 5 points for each event, 0 points for if you can not. By challenging all events, if you get over 165 in total, you can enter as an excellent scorer. Among them, excellent grades will be posted once a month. On the left side is a list of excellent grades. In the middle is a guide board for all field athletics events. 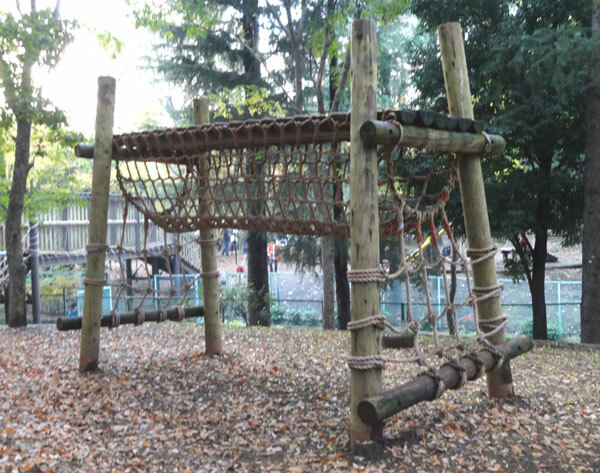 “Heiwa-no-mori Park Field Athletics” is 40 kinds, but there are many fulfilling feelings because there are many large play items for each one. 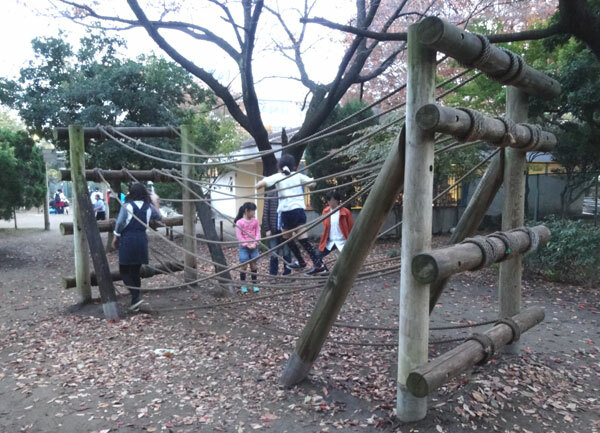 In the first place, since it is an athletic targeted for elementary school students and above, overall the level is somewhat higher. 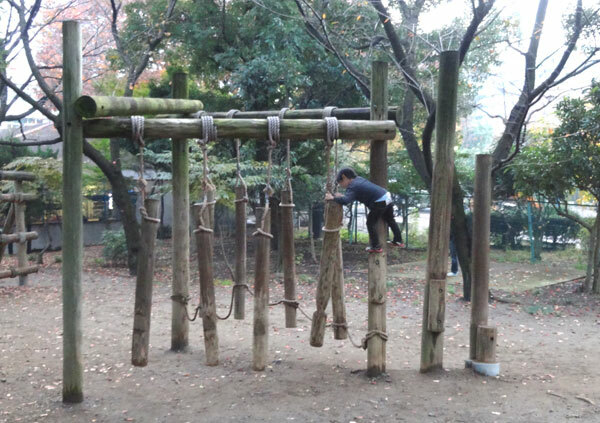 I felt quite difficult if I did not get into the middle school of elementary school. Even junior high school students have become an athletic course that can be fully enjoyed. 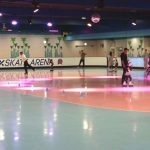 The area where the athletic is installed is not wide, but it has become a well thought-out arrangement, and it is becoming an athletic which can be enjoyed fun. Columns are made in front of difficult subjects. It takes quite a while for that, and it can take from two hours to two and a half hours to go from the beginning to the end. 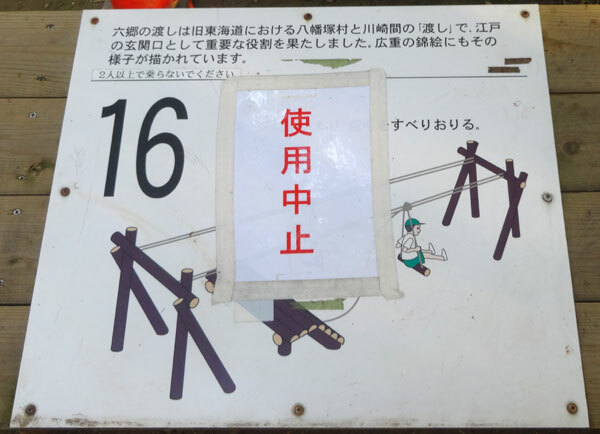 So it is highly likely that you can not go to the end if you do not skip some crowded places when entering at the end of the admission end time at 15 o’clock. 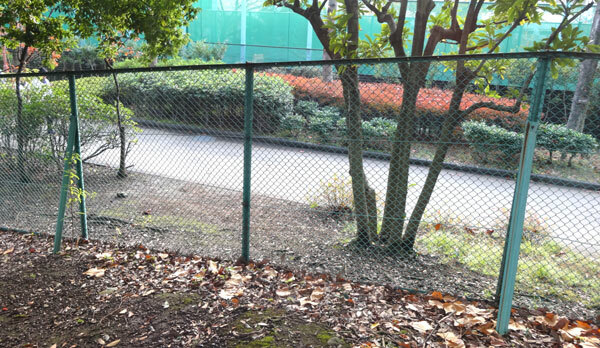 By the way, since the field athletic area is a charged area, it is separated by a wire mesh fence like this. The first event is “Departure for Ota ward exploration”. The first event is a compound event, which is one event with the above four actions. I feel like challenging from the beginning. It is not difficult though. The second “Nori-no-Hibitsutai” is also a compound event. Crossing the ring connected to the rope, the next is the Monkey bars. 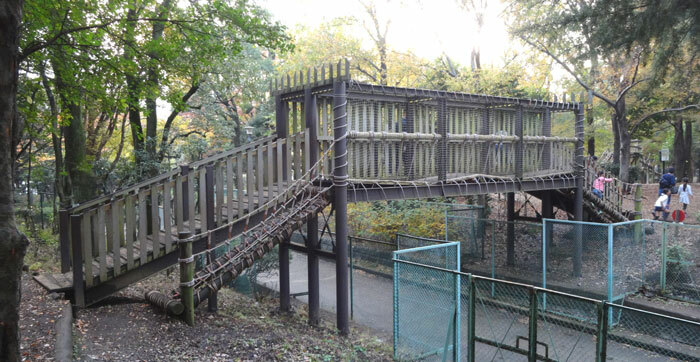 Because the Monkey bars are in a rather high position, it seems to be a bit scary to the lower grades of elementary school. “Hakkei Slope Crossing” is an event crossing a log supported by a rope. There are changes as the log support method has changed from the middle. It is an event saying to climb the wall on the left side, get caught in the middle rope and come down. Since the rope in the middle is surprisingly far from the climbing wall, if it is a lower grade of elementary school, it may not reach it. The fifth “Fuji Lecture Lantern” is the first big event. 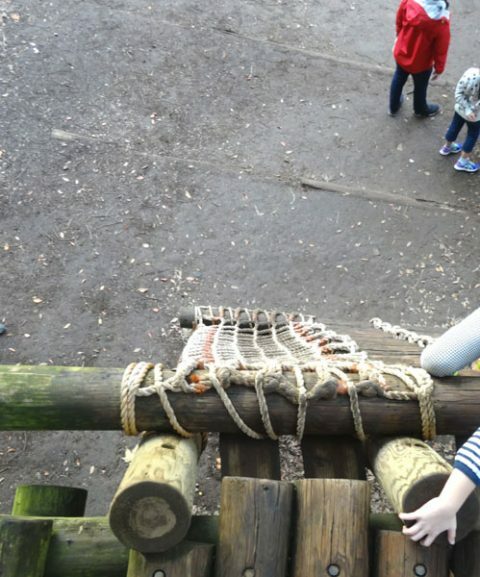 You can see that there is a good height when you climb. But there is a rope railing and the log of the foot is fixed so there is little fear other than the height. “Challenge dancing to stop water” is an event that crosses the Balance beam. On the way, I strike a drum of logs while peering through the hole in the log. 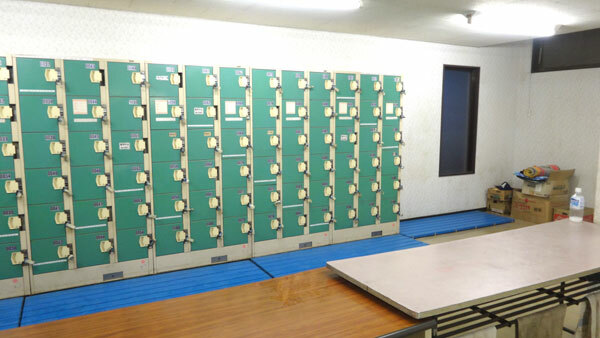 Although it is not difficult, you can not see the peephole to the lower grade child of elementary school. 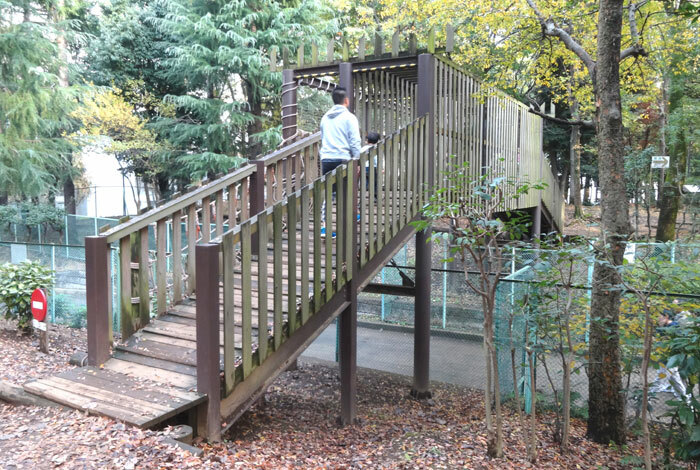 “Mihara-dori walking” is a bridge to move to the neighboring area. Because the field athletic area is surrounded by wire mesh, people outside the field athletic can not pass. Therefore, the road that goes through the field athletic area passes in the middle, but a bridge is crossed to cross the street. That bridge is not just a bridge but it is one of the events. From here to the other side is just a bridge, but if you come back it is a network bridge. Those who do not pass the bridge of the net will come back this bridge. 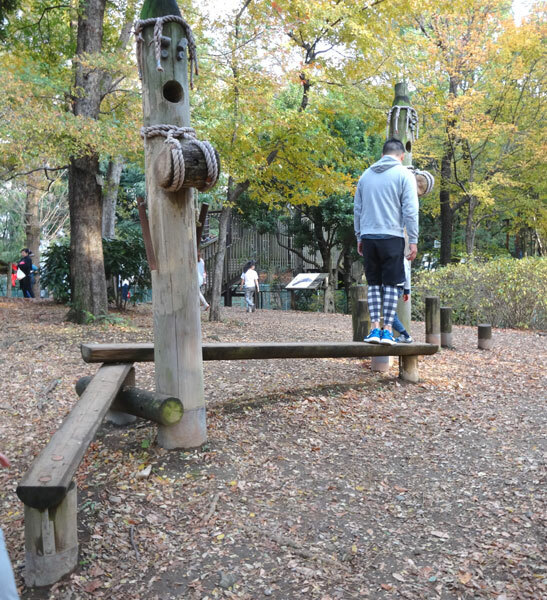 There is no photograph, “Toriguriguri Torii” is a kind of event that goes across a steel bar. There is also height, so there is also scary height. Children can easily clear, but adults can not support their own weight, so many people finally say that they are only hanging. “Morisakisaki Spa dive” is currently being discontinued. I do not know the reason, but there are some events that have been discontinued. I think that there are failures, but when I see the other discontinued events, I think that it was discontinued because accidents occurred and injured persons came out. From here you will be in the area of the pond. 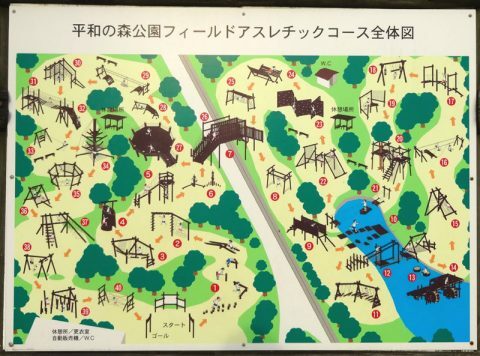 Raft on the right side is “Explore Nitta”. The left side is “21. Yaguchi no Passing”. It will be like this from a different angle. The front is “21. Yaguchi no Passing” and the next is “Explore Nitta”. The back is “12. Tama River Crossing”. Another different angle is here. This is the angle seen from the top of “20. 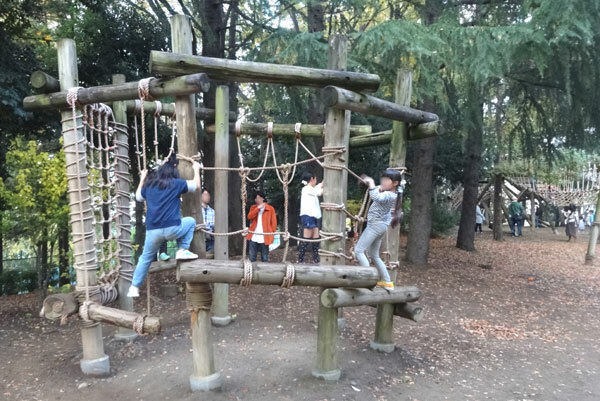 Climbing a Camphor tree”. The event in the middle is “Explore Nitta”. If there is no change, I think that it is better not to challenge the area of the pond. Because it gets wet with high probability. In the feeling I was seeing, about half of those were wet and somewhere about one third were falling in the pond. It was about half of what I could completely clean up. The success rate is bad about that. 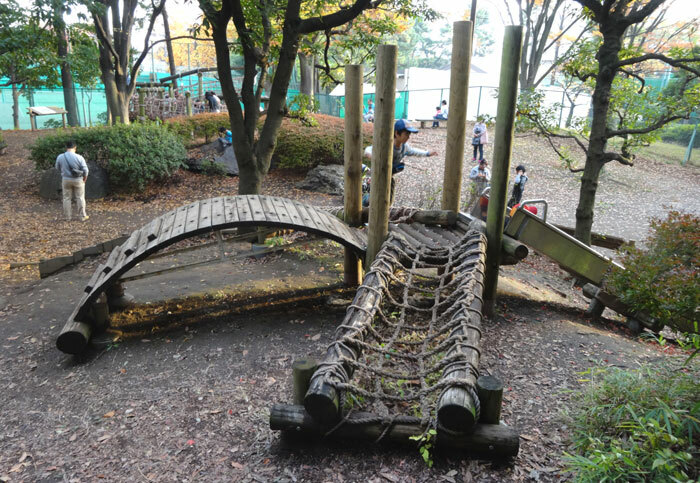 Elementary school first and second grade children were falling because they could not jump over rafts and rafts.A child whose body grew bigger and whose weight got heavier, such as a junior high school student, was greatly shaking and sinking because the raft could not support its weight. If you do not have images such as quickly running through in advance, you will fall into the pond in the blink of an eye. As I mentioned earlier, there is a changing room, but there is no shower, so please challenge after thinking carefully. 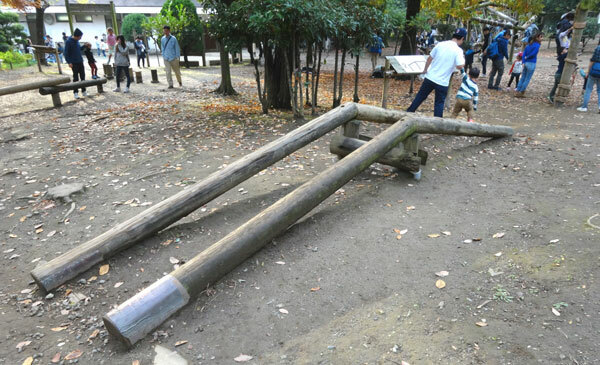 Since the log connected to the rope shakes considerably, we need the power to support the body with the arm. It was taken from the goal side of “Tama River Crossing”. Climb the staircase of the log, climb up the wall of the net, cross the pond by passing through the large event that crosses the bridge of the net. On the right there is a log bridge for passing the event. 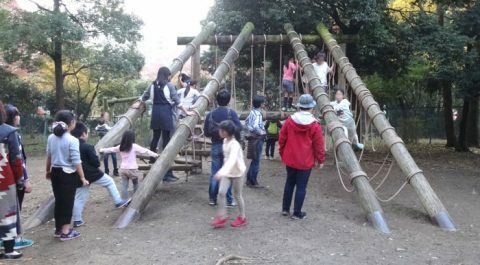 Since the log bridge also has only three log widths, if you have a smartphone or a digital camera and you are in trouble even if there are emergency things, it is better to go around the pond in a detour. It is an event that I ride around a pond with all in a ride on oke and tire size floats. Although it does not fall as much as “Explore Nitta”, there is a possibility that this “Crossing Haneda” may fall as well. In addition, it is a high risk event that you can not help an adult if you row out once. Although some children started to cry because they did not know how to row, parents can not help it. It is an event to ride on a water mill and turn a water wheel with his feet. 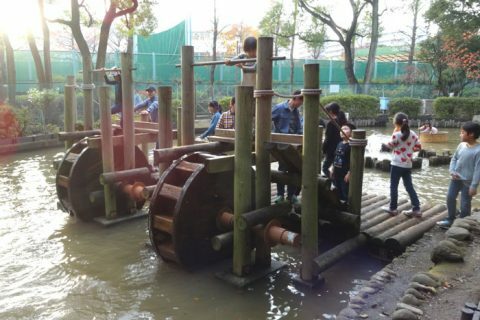 If the parent does not move the water wheel to some extent from the back, it is hard to move. It is so heavy that it is difficult to move easily with only the weight of the child. It is an event that nobody could clear as a dozen people challenged while watching. Adults also challenged, but even adults were unreasonable. If you put your fingers on the ropes with bare feet, you may be able to climb, but it seems quite tough to wear shoes and climb. 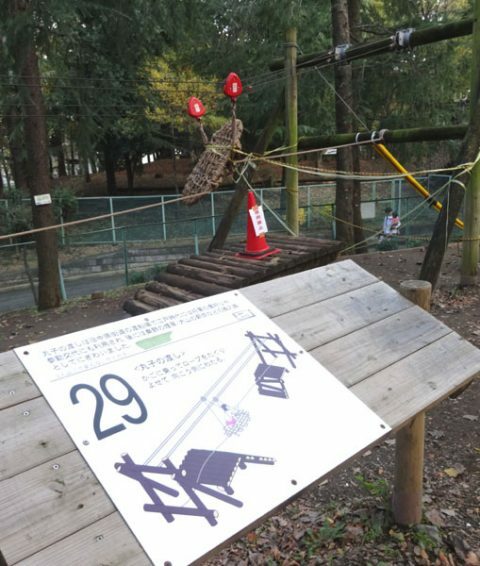 “Crossing the Rokugo” is an event to slide down a wire rope with a pulley called a so-called zip line. 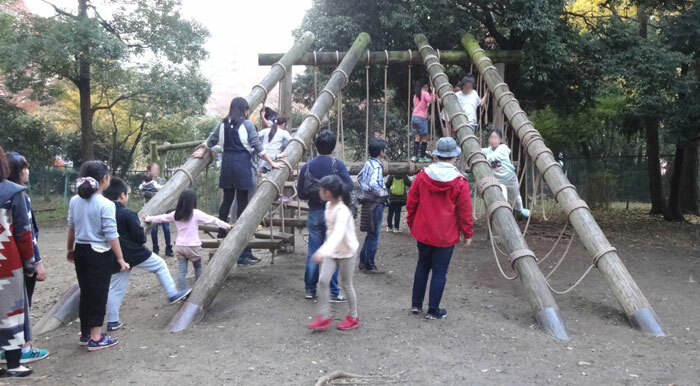 It is a very fun event, children’s popular events, but now they are forbidden to use. Although it seems to be a relatively new event, to say that being discontinued is to say that it was discontinued due to saying that it is a high risk of injury rather than saying that there was a problem with the device ,I think. Since it is a facility operated by the municipality, it seems that it is wanting to avoid occurrence of an accident anyhow. The first log part is the most difficult part. 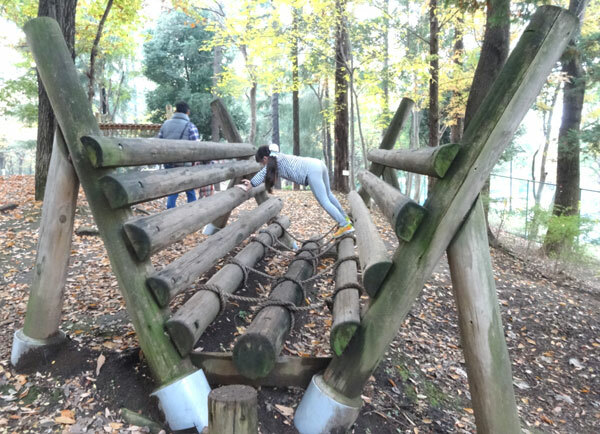 Especially, because the log was slippery because the rain was falling on the previous day on this day, the difficulty was up. 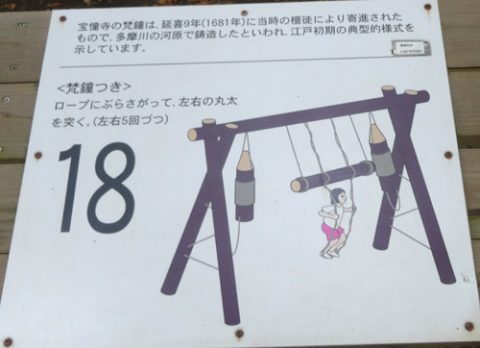 “Poke a bell” is a sideways version of a swing. It is an event to ride the rope with a stick that pierces the bell, shake it right and left and push a tree. It sticks five times to the left and right, but if you do not adjust the timing well, the momentum will disappear between five pokes. 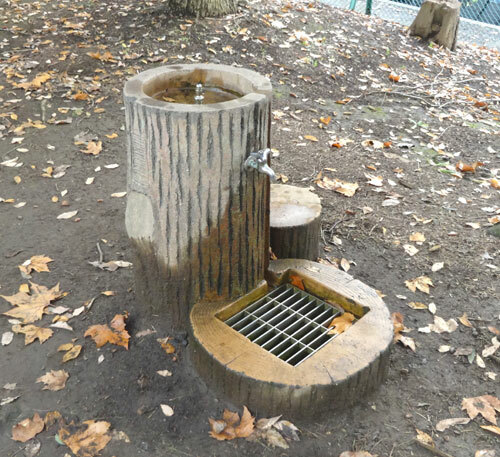 There is a toilet, a hand washroom, and a rest area near the “18. Poke a bell” and “19. Let’s stone a guardian dog”. There is a table in the resting place, but the table also has a “dining prohibited” posting paper. Since meals are prohibited in the hall, let’s keep it. “Let’s stone a guardian dog” was forbidden to use. As for its name, “Climbing a Camphor tree” is a kind of event that looks like a climber to a camphor tree, like a secret base on a tree of camphor trees. This is also a pretty big event, you can feel a lot of height from the top. By the way, from the climbing table to the descending table, it goes through the tunnel of the cylindrical rope, but this tunnel is quite hard for adults. It is a photograph that I used also at the time of the previous “Explore Nitta”, but it is an event that I ride on a raft of a hull shape and grip on the ropes on both sides and move forward. This is also an event to fall pretty well in the pond so be careful. 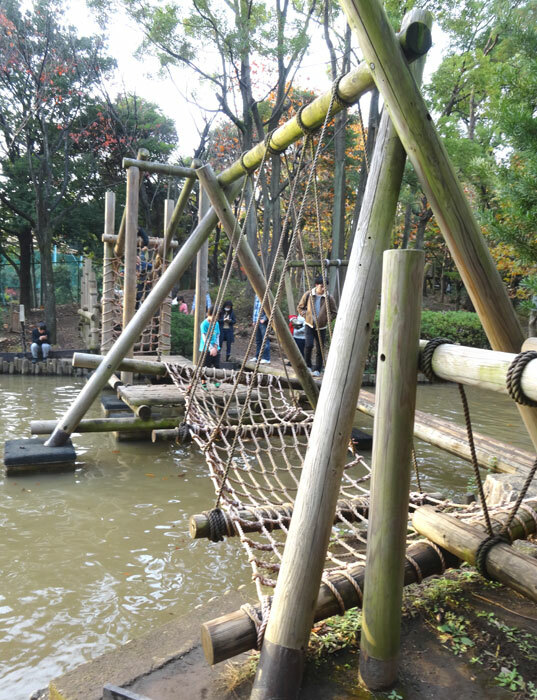 In addition to the difficulty of keeping the balance on the raft, the rope comes to a considerably lower position in the middle of the pond. Therefore, even if it gets caught by the rope as it falls, it falls into the pond without being able to support the body. 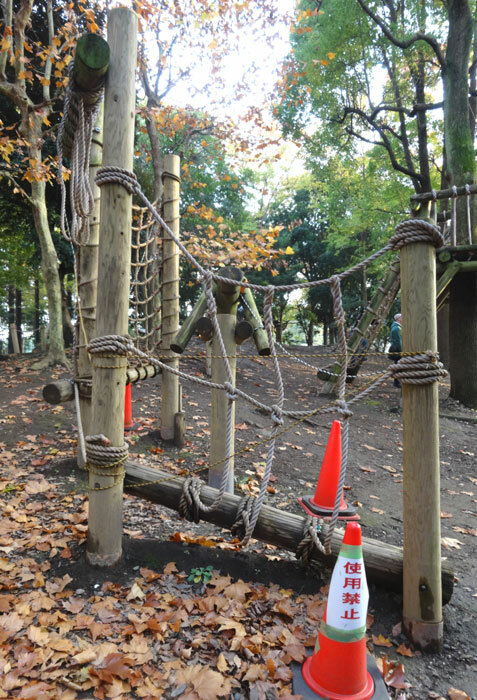 It is an event to go up and down the rope net three times. It is an event that makes three ascending and descending tiring excellently. 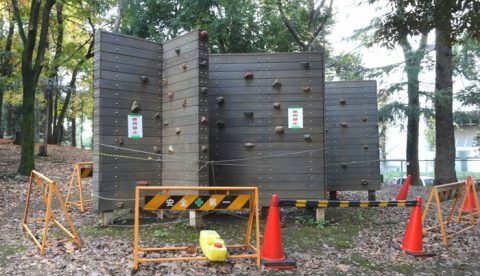 “Cross the laver drying” is an event which is going to pass the wall of the fashionable voltainger recently, but was forbidden to use. Although the feeling I saw was also new and beautiful playground equipment, it may be saying that someone injured. This is not a matter of walking, but an event that goes flat, like a picture. It is an event that the difficulty will rise as the limbs pass through logs of the same height. There is a log roof on the head, it is an event going through the rope bag. Because the entrance and exit are small, children are easier events than adults. It is a bridge on the other side of “7. Mihara-dori walking”, returning to the original area. 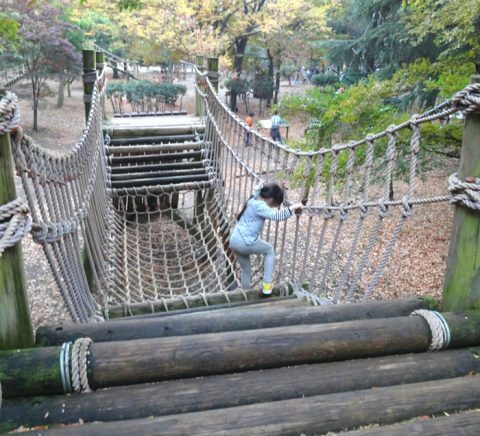 It is an event made of rope stairs and a bumpy bridge, not particularly difficult. It is also possible to go back through “7. Mihara-dori walking”. It is an event that runs like a ‘doodlebug’ around a bowl shaped playground equipment. When the number of people playing is small, I can run more thoroughly. 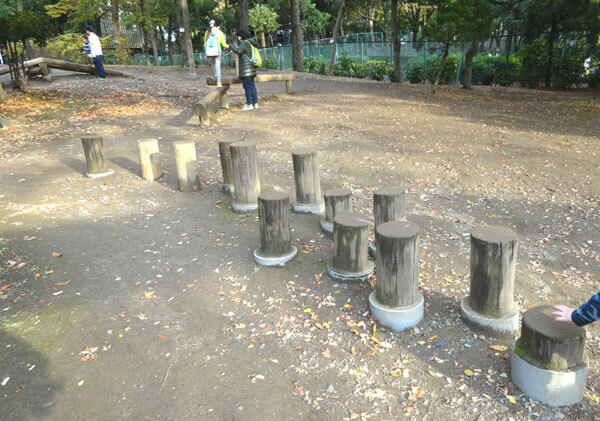 It is an event that goes through the triangle on the left side and then goes all the way through the log bridge. There are two logs in the triangle, followed by a log bridge that is also an event that changes difficulty on the way. This “Cross Maruko” was also forbidden to use. Like “16. Crossing the Rokugo”, I think someone has been injured, so I think that it is being discontinued for the prevention of accidents. It is a title saying “Dive Senzoku Pond”, but it is a feeling that it goes inside the big snake in the pond. Adults are pretty impossible, but children move forward. “31. Exploring the source of spring” “32. Cross the warehouse” is an event set as climbing and descending. This event is also a large playground equipment, there are also forcepower and there is height. 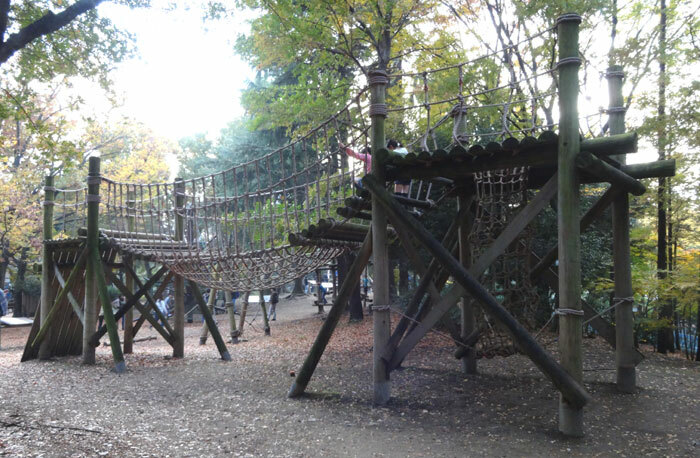 The logs that cross over are quite trembling, so it is an event that requires considerable courage for children who are scared of high places. 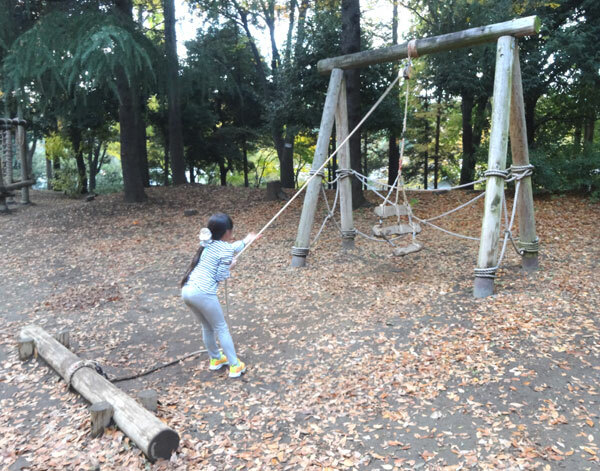 It is an event to pull a rope and pull up a log. Girls in the third grade of elementary school were able to raise them without problem. 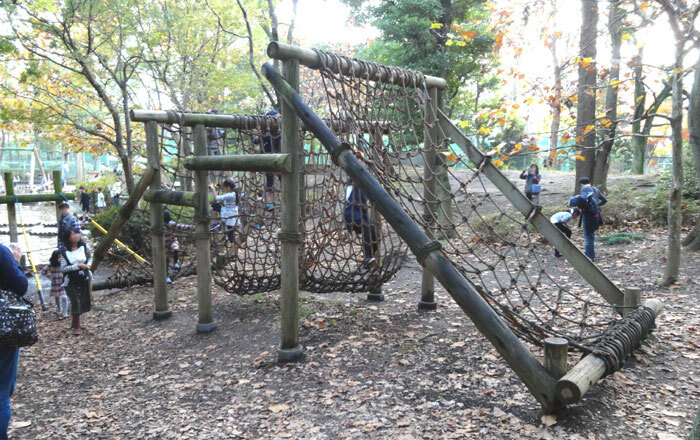 It is a new event to see, it is the only metal pole playground equipment at the moment. It is an event of saying that he goes up the net in a spiral manner and comes down on the other side. 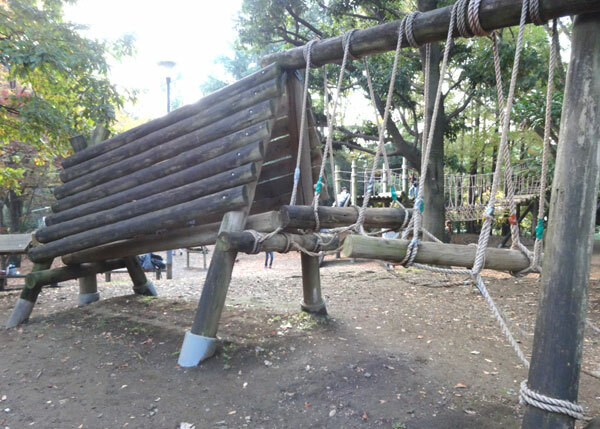 There is no difficulty, but this also has a height, so it felt like fighting the horror of height. 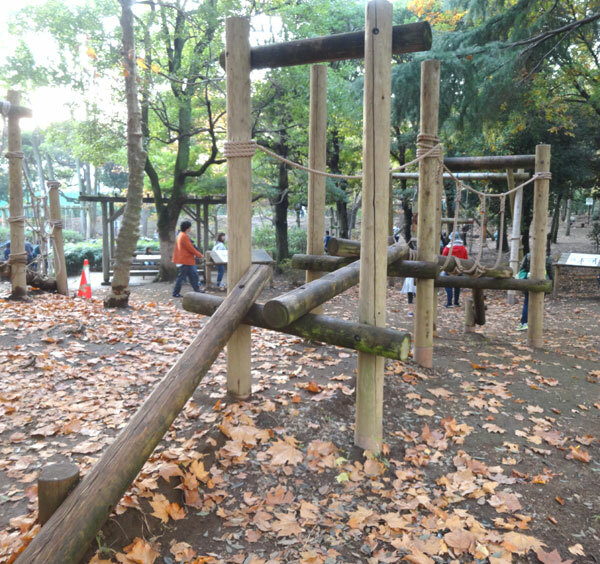 To support the rope, it is an event to go round around from the right side. 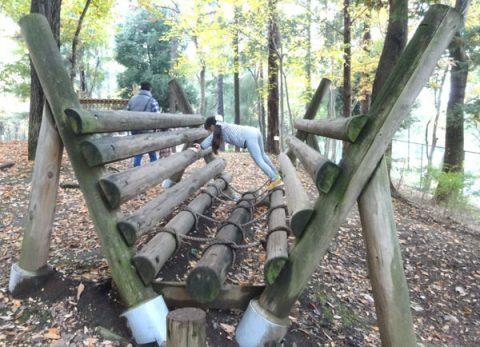 There is no photograph, it is an event saying to climb the log bridge, go up the net, go through the logs as seen by the gate, and go down the net on the other side. It is an event that climbs from the left side and descends from the right side. Columns are made because descending on the right takes time. It is a popular event for children, so it is one of the reasons to skip this and not to make a decision to go to the next event is a matrix. 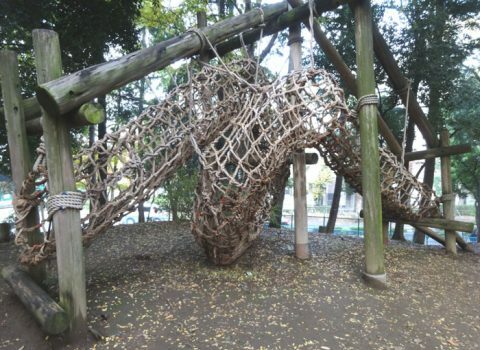 Since there is a possibility that the feet may not reach the descending on the right side if it is a lower grade of elementary school student, it may be necessary to support you in some cases. It is a kind of event that you do not know what to do with pictures alone. 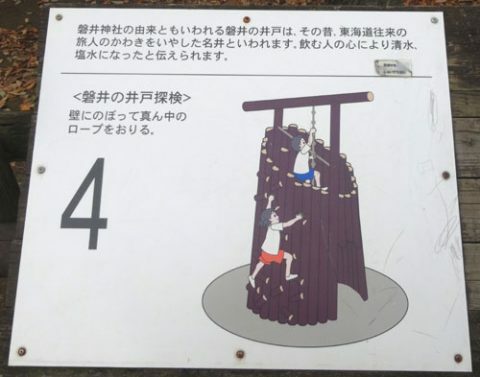 It is an event that puts foot in the ring under the rope which is going down on the right side, holds on the rope, makes a pendulum movement like a swing, and touches a log. Since it is necessary to touch multiple times, not only once, it is necessary to take a good timing to swing so as not to kill the momentum. 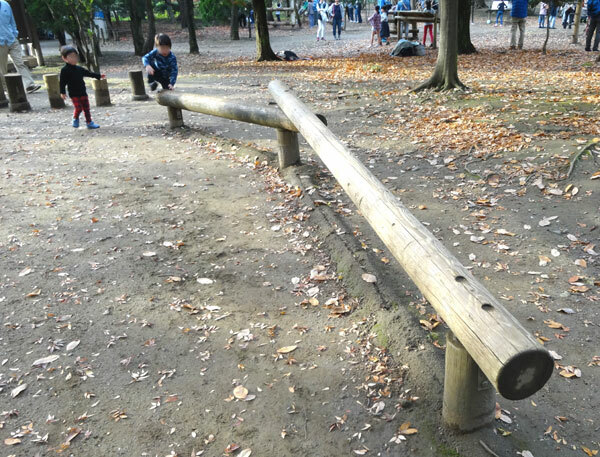 It is an event to cross the log. The log in front has a notch in the feet, advances by inserting feet there, and the rope is tied to the feet on the back side, so we will put on our rope and proceed. Children are those who are comfortable We choose the one whose feet on the back side are ropes. 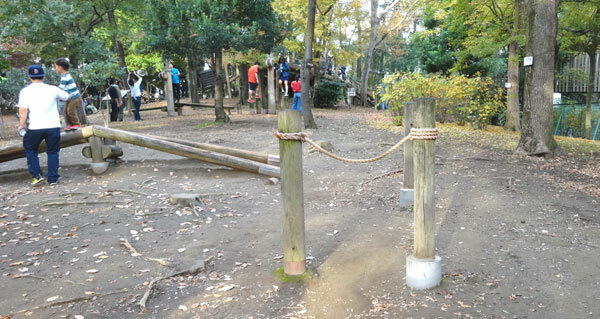 The last event, “Crossing Uchi River”, is an event that crosses complex ropes. The ropes of this event are not tensioned in parallel, but are crossed over and under each other vertically and horizontally. The point is where you put your feet on which ropes and which ropes you put your hands on. And I will head to the goal. Of course, there is no problem with how many laps, and there is no problem to challenge many times only challenging events that were fun, so please enjoy as long as physical strength continues! The closing of the field athletic is 16: 30. From about 15 minutes before the closing time, the person in charge will blow whistle and start turning around the garden from the start side. And when the person comes, we are asked to end each, and around 16:30 the person in charge becomes one lap and it ends up being all done. When you start listening to the clerk’s whistle, you need to preferentially carry out the events you want to do and proceed. However, in mid-November we did it was dark at 17: 00, so it was not a situation to play in the first place. 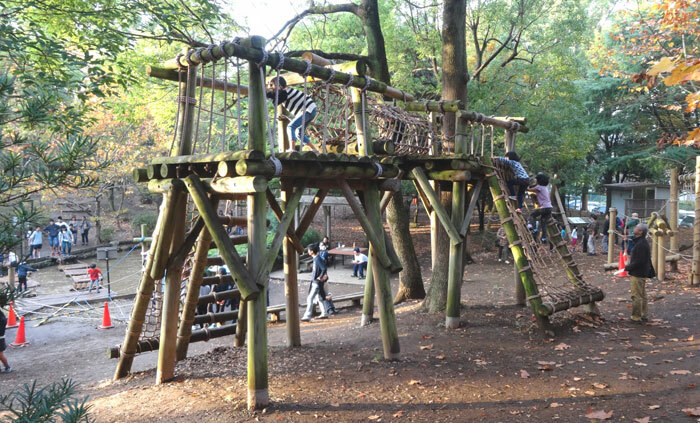 “Heiwa-no-mori Park Field Athletics” is a facility for children above elementary school age. Therefore, preschool children can not play. 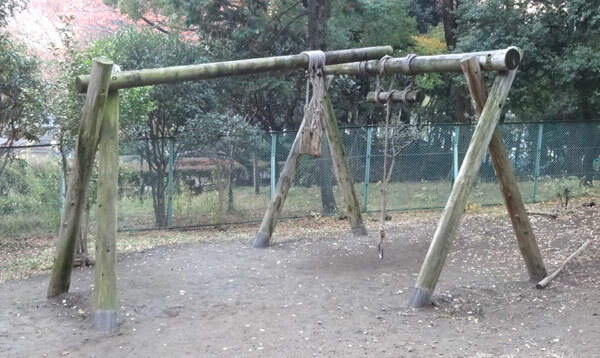 Since there is an infant athletic field on the southern side of “Heiwa-no-mori Park”, please use it there. It is made available for free here. It is an athletic for infants, but its size is small for infants and it is full-fledged content as an event. Although the number of events for infant corners is not many, each event is made to be able to play various ways, so you can play as many times as you like and play for a long time. When my daughter was in kindergarten, if there was such an athletic in the neighborhood park, it would have been done every day. Basically, there is nothing to take in particular, as long as you can take exercise. Also, there are no shops and restaurants in the park, so you need to procure what you need in advance. Therefore, what is convenient is the feeling as follows. As I come around the athletic field, it gets dirty here and there so it is necessary to change clothes. Especially when children say “try all the events in the pond area”, I recommend that you take a set of change clothes on the premise that you will fall into the pond. Anyway, about half of people get wet. And one third is falling in the pond. There are many kinds of events to climb and get off the rope, so if you prepare a glove, hands will not hurt and it looks good. It is quite difficult to find a place selling gloves for children, but using a glove for adults is too big to be dangerous. If it is time for lunch, you’d better take your lunch. 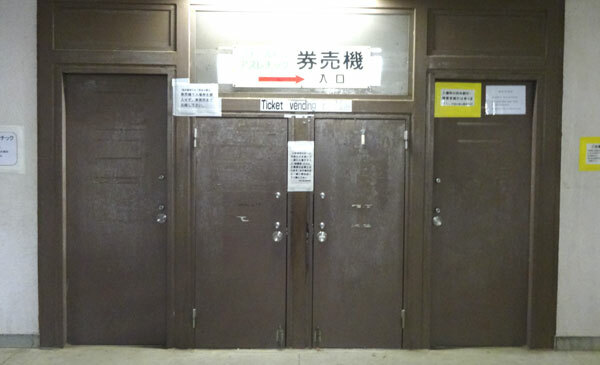 Where you left the ticket gate at Heiwajima Station, there are “Keikyu Store” and “Doutor”. There is also a convenience store on the way from Heiwajima Station to “Heiwa-no-mori Park” so you can purchase food locally. 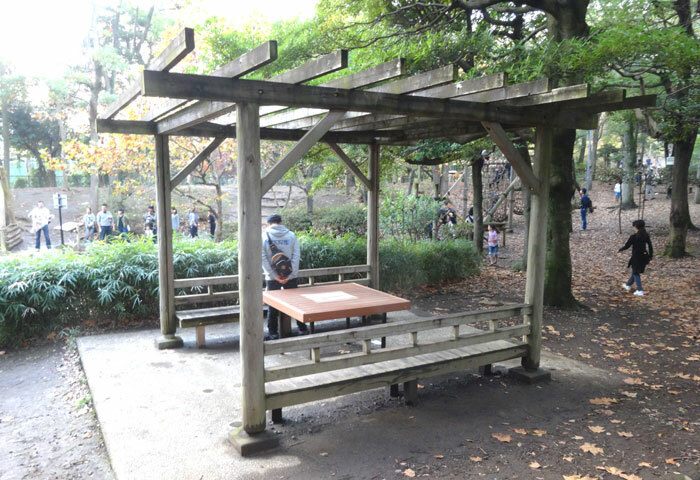 However, there are no shops and restaurants in the park, so we can not do it in the park. 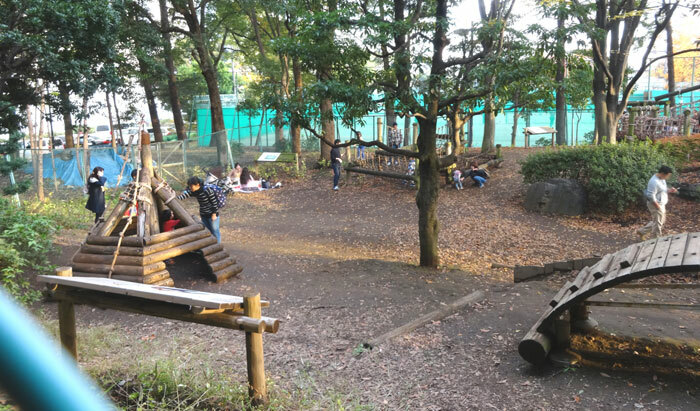 Also, since there is no large eateries like the family restaurant between Heiwajima station and the park, it will be difficult to find a shop where you can relax with a child. Meals are prohibited in the athletic field. We can not even re-enter. Therefore, it is necessary to decide whether to eat before entering or eat after it finishes. In addition, it is better to have an insect repellent spray during towel, sunscreen and hat, summer. On the other hand, leisure seats are unnecessary because there is almost no situation saying that you are sitting there waiting while laying leisure seats. Those who are athletic for infants are likely to say that they will lay leisure seats and watch children. 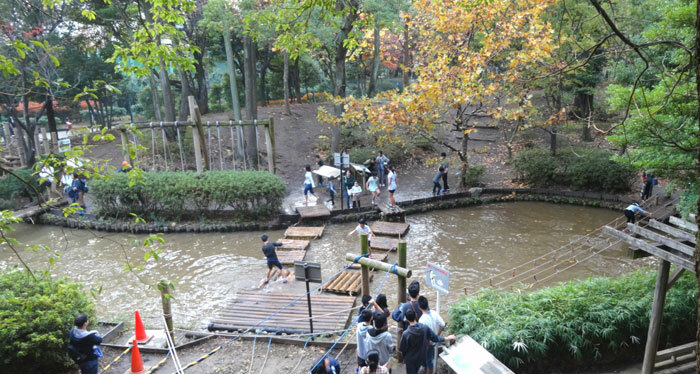 About half a year ago, I went to “Field Athletic Yokohama Tsukushino” in Tsukushino, Yokohama. 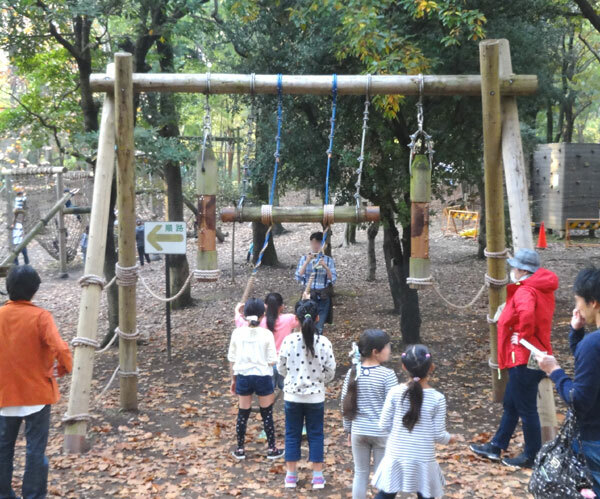 “Field Athletic Yokohama Tsukushino” is a field athletic in the hilly area, a course setting using hilly areas rich in ruggedness, it is a course in nature. Comparing “Field Athletic Yokohama Tsukushino” and “Heiwa-no-mori Park Field Athletics”, the “Field Athletic Yokohama Tsukushino” is larger. There is a shower facility, so when you fall into the pond, you can deal with it afterwards, so there is a sense of security. 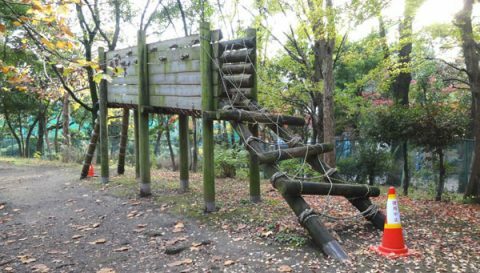 On the contrary, “Heiwa-no-mori Park Field Athletics” is very cost effective and it is a facility you want to challenge many times. If it is closer……I can not go without thinking.